God hates puppets, or does He? Some reasons I am especially grateful this Thanksgiving. It’s a ridiculous thing to try and make a living out of something like puppetry. For me, it’s a living and it’s a passion, so naturally I can be pretty single-minded about it and often get frustrated when the going gets tough. But of course it’s frustrating. I’ve replaced hunting and farming with puppets. I think I would have a difficult time explaining that to my ancestors. At my worst moments, I’ll throw up my arms and sigh, “God hates puppets!” I say this a lot. Out loud. And I sometimes believe it. Especially when so many brilliant puppet artists have left this world too soon. So, either God hates puppets, or He must love them so much He’s gathering them around Him in heaven. Must be one hell of a show. Anyway, this Thanksgiving, right after Hurricane Sandy, is a particularly poignant one for me. With so many businesses, homes and lives blown away by the storm, the worst I can report was that I was not more than a little inconvenienced by a week without heat and power. I remember waking up the following morning in my little suburban town thinking it wasn’t so bad, without any way to know otherwise. Like so many others, I was dumbstruck to finally learn the extent of the devastation all around me. Particularly in Hoboken, our shop’s hometown. Of course, I was worried about Puppet Heap and got there as soon as I possibly could. 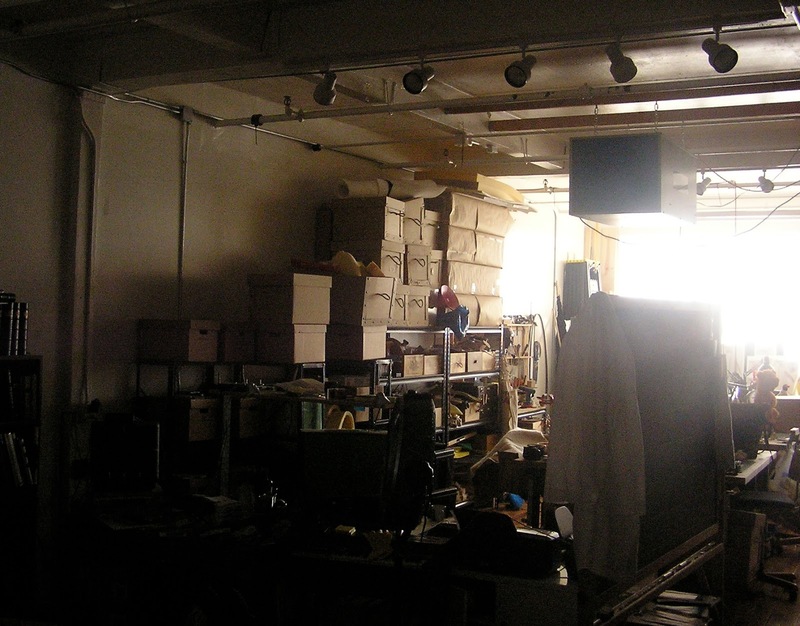 I found that our puppet shop weathered the storm unscathed while the town all around it was utterly washed out. We had not even a leaky window. So I guess God doesn’t hate puppets after all. Or maybe we’re just not good enough to be taken right now. Either way, I was grateful to be spared. But in the wake of all this, I’m grateful for something else. I’m grateful to even have the privilege to worry about my silly little puppet studio. With so many people right next door who lost everything, I can comfortably panic about these tiny imaginary creatures, which could easily be replaced, and probably with something even better anyway. And I am grateful to our clients around the world who reached out in support as soon it happened, all them primarily concerned that our people were safe. And for the wonderful, caring team here at Puppet Heap, who stayed connected throughout the whole thing. We are a bit like family here, and that kind of love and community within a company is something only fortune can provide and any business owner would be grateful for. So often I plunge myself into one existential crisis or another, usually centered around being an artist in capitalist society, blah blah blah. Well, I play with dolls for a living, and somehow, despite enormous forces of nature, I’m lucky enough to fret about it another day.